LightsOnline.com offers a wide variety of chandeliers, pendants, sconces, ceiling fans and home decor in many styles, finishes and prices. Atlanta's Premier Lighting-Visit our Conyers Showroom | Best of Houzz! Our Georgia Lightscapes acclaimed designers create nightscapes that enhance the natural beauty of your garden and highlight the beauty of your home. We can add elegance and definition to your home, highlighting the architectural features and ensuring that your house will always stand out after sunset. Our landscape lighting can draw attention to your favorite tree, guide guests through your garden, create an ambiance around your swimming pool or light up your deck for your next party. Whether it’s for entertaining, relaxation or safety, extend the enjoyment of your landscape well into the evening with a well-designed, lovely nightscape. 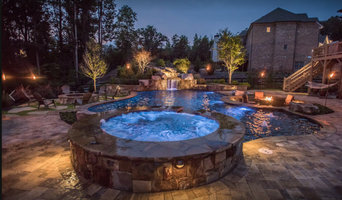 Whatever impression you want to make, Georgia Lightscapes will bring your home to life and we will exceed your expectations. Founded in 2000 in Atlanta, Georgia, USA, The Lighting Loft is a celebration of light. Through our showroom gallery and the convenience of online shopping, we serve both the professional design trade, as well as retail customers equally well. We specialize in contemporary, classic lighting and illumination systems. Our objective for the last 20 years has been to provide homeowners and the interior design community in the Southeast with the best European and domestic contemporary lighting available. We have collaborated with many of the top architects and designers in the southeast on both residential and commercial projects. We attribute our success to both the quality of the lighting that we offer, and to our commitment to providing our clients with the most outstanding service possible. Sengled is a global innovator in smart lighting. Our team is inspired by the idea that the light bulb can be continuously reinvented to make life better. We design and produce intuitive, app-controlled, eco-friendly products that bring smart home capabilities to every room in your home. Danlar Lighting is a name that builders, designers and homeowners have trusted for nearly two decades. 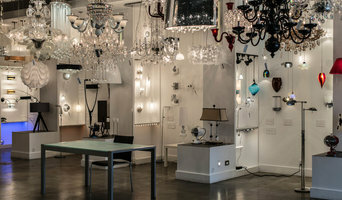 Our lighting showroom has received national acclaim and our staff of designers and lighting experts have over 65 years of combined experience in the industry. If you have any questions, please don't hesitate to contact us-we'd love to hear from you! Nestors Sprinklers and Lighting is the leader in Atlanta for landscaping, lighting and sprinkler installation. We are family owned and locally operated since 1980! Serving North East Atlanta and Alpharetta, we offer only the best architectural cast aluminum and brass fixtures with a lifetime warranty. We will design the landscape to fit your property and budget perfectly. Our sprinkler systems provide water-saving efficiency and consistent water distribution. If you are planning on a new landscape design or installation, then let us be the ones to attractively do it for you! Illuminating Style & Quality for Your Home. Light fixtures in all styles in the best quality and affordable pricing. Currey & Company is a manufacturer of home furnishings with permanent showrooms in Atlanta, Dallas, New York and High Point, NC. We are represented by sales reps throughout the United States & Canada and internationally in South America, Europe, Asia, Russia, Australia and the Middle East. Product line includes chandeliers, wall sconces, table/floor lamps, furniture, upholstery, rugs, accessories and garden furniture. OUR VISION: To create and fulfill the desire for distinctive home furnishings. OUR MISSION: To serve our customers, owners and employees in an exemplary manner through a culture which encourages all to flourish. OUR PHILOSOPHY: Ours is a people business. The essence of Currey & Company is not only the product for which it is known but also the very important people who help to create the product and carefully deliver it into the hands of those other important people, our customers, in a timely fashion. Our on-going program of process improvement speaks of our faith in the ability of the men and women who work at Currey & Company and their ability to contribute to the betterment of the company and its products. Our faith in them is demonstrated by the fact that we give all of our employees the opportunity to obtain a four-year college degree by paying for their tuition as well as bearing the expense for remedial courses and English programs for our non-English speakers. People are key, but product is also the lifeblood of the company and at Currey & Company we take pride in our original design work, meticulous craftsmanship and careful attention to all details of a product. The effort of our multi-step hand-finishing process manifests itself in the richness and depth of the final finish of many of our products. The appearance of these pieces speaks of the human hands that have touched them as well as of the design skills and craftsmanship that have created them. We have the willingness to do what many other manufacturers regard as too difficult or too time-consuming. We think it shows. We provide a complete line of fine lighting and home décor to the general public, builders, architects, and interior designers. Let our knowledgeable and helpful staff assist you in making selections. Southern Restoration takes custom heirloom quality lighting furniture and decor to the next level. Our custom lighting is featured in tasting rooms in California, to homes in Australia and over the water to Nando's in Malaysia. Conversation furniture pieces from reclaimed materials along with special decor add to the home touch and tell a story at the same time. When you choose a Savoy House lighting fixture, you can be certain you've selected a piece that will withstand the test of time. Think about how you plan to use each area of your Panthersville, GA home. It's important to communicate to your Georgia lighting designer which space will be used as an office and which will be a media room, for example, as these will require very different lighting methods. In addition, consider how you'd prefer to control the lights. Lighting technology today includes dimmers, sensors, photocells (that let lights react to the amount of daylight in a space), programmable scene controls (that let you program different settings for varied lighting) and whole-house lighting controls (that let you control all or a portion of your home's lights from one source), allowing you to tailor your lighting controls however you wish. Find a lighting designer on Houzz. Narrow your search in the Professionals section of the website to Panthersville, GA lighting designer. You can also look through Panthersville, GA photos by style to find a lighting design you like, then contact the designer.